With all that in mind, I set out to design and implement a thermo fan setup that would work perfectly in my S15. To me, this meant it had to be neat, efficient, and keep the function/features of the factory AC thermo fan (which would be removed along with the clutch fun). 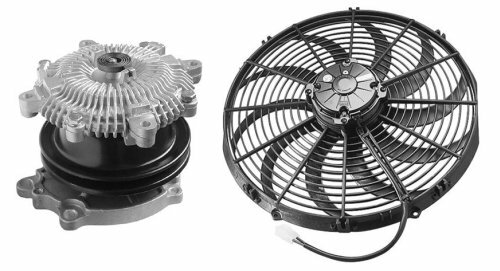 The factory AC thermo fan has the main function to cool down the AC condenser, but it follows certain conditions that are controlled by the ECU/ECM. 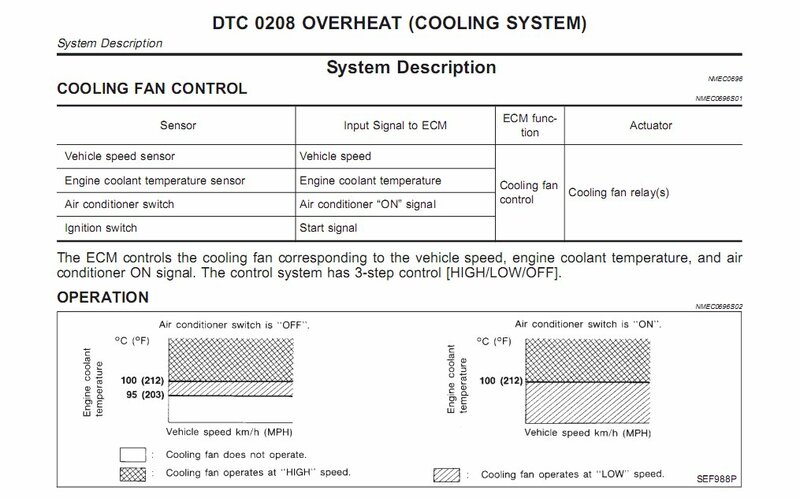 When the ECU detects that the AC is turned on, it sends out a trigger to turn on the fan, BUT if vehicle speed is detected to be above 40km/h then the fan is disabled until the car slows down below 40km/h. This is a very important function because if the condenser isn't cool, the AC won't be cold and the condenser can reach high pressures and EXPLODE!!! I did a lot of research and decided to go with the dual thermo fans from the Ford Falcon AU. They are designed to be run at dual speeds, and also come with a very good fan shroud that fits up with many radiators. For controlling duties I decided on the Dakota Digital Fan Controller, it has the ability to trigger two fan speeds and is very easy to setup and install. 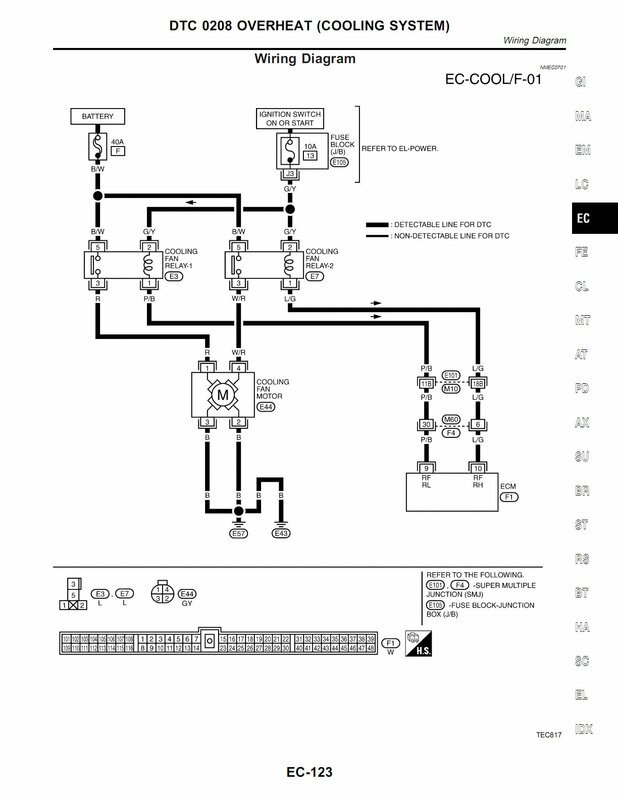 Alrighty now, below is the wiring diagram I drew up. I can't take full credit as it's based on a few diagrams I've seen on the interwebs. 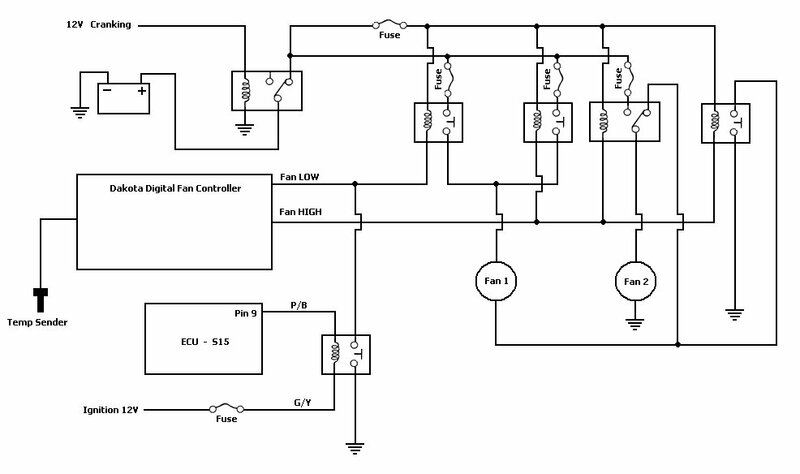 Basically the two fans are run in series @ 6V each for low mode, and they are run in parallel @ 12V for high mode. 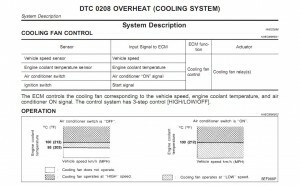 The Dakota Fan Controller is used to monitor coolant temperatures and then trigger the appropriate relays when the temperature switching points are reached. I also decided to add an extra relay which disconnects the battery from the circuit when the car is cranking, it's just an extra precaution to increase battery life. I tested the above circuit with some 12V computer fans and everything works perfectly. 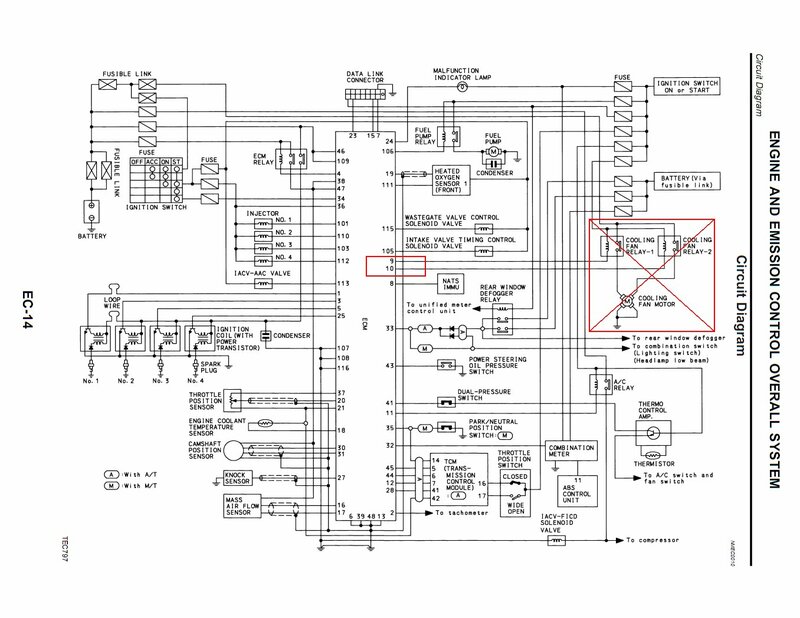 Just some extra documents that helped me understand the fan controller, ECU and factory wiring. If you have any questions just post in the comments section below.